If you’ve ever looked at another mom & wondered how she manages to get it all done, the answer just might surprise you. The most productive people all have one thing in common: they don’t reinvent the wheel every day. Instead, they’ve figured out the best, most efficient way to do every task, & they create a system to do just that. This post may contain affiliate links, which means I may get paid a commission if you choose to purchase through them. I only promote producys & services that I use and love. How many times do you answer email from potential clients? What about responding to customer complaints? Or mailing your JV partners about an upcoming launch? All of these tasks & more become effortless when you create fill-in-the-blank templates that can be repurposed for specific uses. Templates can be as simple as a “canned response” set up in your email, or you can use software such as Text Expander (for Mac) or Phrase Express (for Windows). You could even create a template document in Dropbox* or Google Drive to house all of your templates for easier access from any device. While templates will undoubtedly save you time, the real beauty is that once they’re created, you can easily outsource things like email & even sales or other administrative tasks. Simply instruct your assistant or VA on the proper use of your templates, & you’ll be free to do other, more important things. It might seem counterintuitive, but when you perform the same tasks over & over again, it’s easy to miss a critical step. You might think you paid your affiliates this month—you might even remember doing it—only to look back to see it was never completed! But once you implement checklists, it’s suddenly much more difficult to miss an important task. You can easily create checklists for all of your common tasks & projects using nothing more than a text document. I like to create them in Google Docs and be able to have access from anywhere thanks to my Google Drive folders. If you’re managing a team, checklists shared between team members allow you to see exactly what tasks are complete & which are still outstanding. You can create a project management spreadsheet in Google Drive, or utilize a collaborative tool such as Asana or Trello* to streamline communication. Templates & checklists can turn you into a productivity superstar, & it’s so easy to get started! The next time you answer an email you’ve answered before, save your response. The next time you set up a new product in your shopping cart or create a new opt-in page, take the time to record the steps. These documents will make future projects easier and faster to complete, & best of all, you can hand them off to your future assistant to do instead. Aside from time & location freedom, the biggest benefit to starting an online business is the lack of start-up funds required. You don’t have to buy inventory to stock a store, you don’t have to spend a lot on equipment (I got this desk at Amazon for under $30 – but it is so cute! ), & you don’t have to shell out cash for employees & insurance & all those other costs associated with brick and mortar businesses. But being too focused on that low-cost mentality can cause you to lose sight of the bigger picture, too. While it is possible to start a business without spending any money at all, it’s truly not a good idea. Your free hosting account will no doubt have downtime issues & support issues not to mention the mess of ads they’ll serve up to your visitors! Social media accounts are great, but what happens if your account gets locked or deleted? All of your contacts are GONE! So, while bootstrapping your business is a good thing, making business decisions based solely on cost is not. 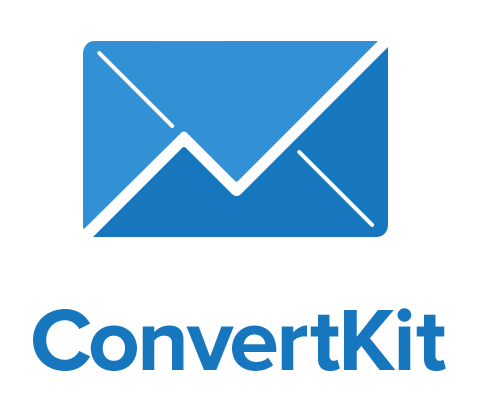 Nowhere is that more true than when it comes to choosing an email list provider. Here’s the biggest problem you may see with low-cost providers: deliverability. Email services such as Yahoo, Gmail, & others vigorously defend their users’ accounts against spam & will often mark your legitimate email as spam, simply based on the IP address it originates from. Larger email service providers have the resources to fight these false spam reports & keep your deliverability rates high. That’s what their users are paying for. But if you were to choose a free or low-cost provider, you might get sent straight to spam. Over time, you’ll see your email deliverability rates plummet! Deliverability aside, many lower priced providers can afford to charge lower rates because they limit the features available. For example, you might only be able to collect 500 addresses before being upcharged, or you may only be able to send a certain number of emails each month. Even worse, you may not be able to segment your list or automate your emails without incurring extra fees – if they even offer that option at all!. Before you make the impulse decision to use a low-priced or free email provider, be sure you fully understand the limitations of the account. While some limits might be okay with you, others might put a serious cramp in your business-building efforts & journey to a new lifestyle. I used MailChimp for about a week before deciding to switch to ConvertKit in order to have access to their features. They even offer great getting started tutorials on their website, free of charge, along with One Month Free for New Users! Finally, keep in mind that changing providers later (when you’re “ready”) can be a huge undertaking. You’ll have multiple landing pages & opt-in forms to edit, connections with your shopping cart, webinar host, social media accounts, & countless other integrations to deal with. Hopefully you’ll have a big list of names to import to your new provider, many of which could either opt-out or be marked as undeliverable at your new host. Rather than go through all that trouble, the best option is to choose the right provider from the start, & if cost is an issue, create a plan to cover the expense instead of settling for the wrong service. Personally, I opted to enroll in a course by a professional blogger in order to ensure I was using all of the features in the best possible way for my business. If you are interested in learning more, check out this Free Welcome Email Swipe Sequence from Monica at Redefining Mom, which also provides information about her ConvertKit Masterclass Course. Understanding Why You Really Do What You Do Will Lead You To Find Your “Why”- Your Passion And True Calling. What do you think super-successful people all have in common? Although all of these things can definitely help you succeed, they’re not a prerequisite. After all, no one is born with experience or skills, & plenty of successful people lack drive. Why did you decide to become a ________? Why do you spend so many hours at your job every week? Why do you stay up too late & get up too early, just so you can work on growing your side hustle into a business? “Why” is what ultimately drives us to success, but here’s the thing: it’s different for everyone. Your why is not my why, & my why is not her why. It’s a deeply personal choice that can have great meaning…or maybe not. For example, a survivor of domestic abuse might happily spend 60 or 70 hours each and every week mentoring other victims of abuse, or counseling couples on how to break the cycle. Her big why is a strong desire to prevent other women from suffering in the same way she did. A mother of small children may be saddened at the thought of sending her kids to daycare just so she can go to work to (barely) pay for it. Her big why is a drive to spend as much time with her kids as she can, while still supporting her family. A young entrepreneur might resist taking the same path her parents took, working for a big company for 40 years, only to retire & find themselves with barely enough to live on. Instead, she dreams of having the income (& the time) to see the world while she’s still young enough to enjoy it. So what’s your big “why”? It’s not money, is it? It might be the freedom to travel, the ability to spend time with your family or to earn enough money to be able to live debt-free. Whatever it is, make your “why” the driving force behind every action you take. When you’re setting goals for the year, ask yourself if those goals are moving you closer or further from your big why. Thinking of branching out into a new business venture? If you ensure that it’s in alignment with your big “why” success is suddenly much more attainable. Think about what your biggest wants & needs are – is it money or something deeper? What will it take to get you there? In an upcoming post, I’ll break down the best ways to set your goals to align your actions with your “why.,” but for now, decide what is more important than money in your life.